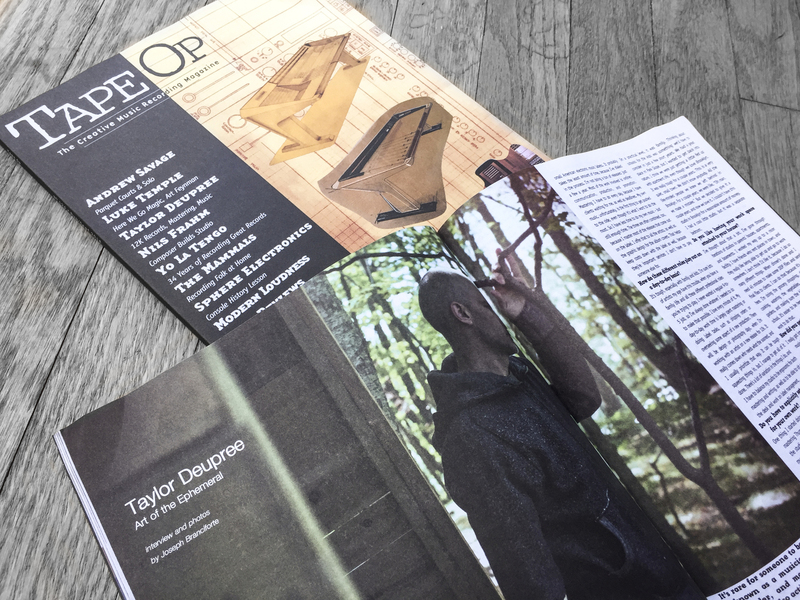 my conversation with taylor deupree of 12k is out in this month’s tape op. thought maybe some lines folks would be interested, as we discuss modular, mastering, minimalism, running a record label, and more. Thank you. I thoroughly enjoyed this article, looking forward to the extended cut. @kirklandish cool… thanks for reading! I saw this issue in a bookstore earlier this week and got it since I saw Nils Frahm was featured (also a great interview!). Great read! thank you so much. I’ve read them this morning! Very cool, thanks! A really insightful read, thank you so much! Got my first ever paper copy waiting for me in Seattle while I’m on a US vacation. Looking forward to kicking back with a nice brew and reading this. just received my copy in the mail and loved the piece, nice work! just wish they had printed more photos of what sounds like a gorgeous woodland studio!